Cypress, TX is a friendly, suburban community in the greater Houston area. It’s a terrific place to live if you want all the activity and amenities of the city within close range without having to actually live in the midst of it. It shares its name with the Cypress Creek that runs alongside it and the bald cypress trees that line the creek. The forest located in Cypress, however, is much more known for its grand oak trees. You may enjoy hiking through the natural scenery of Cypress or hitting the links in the golf community. A home in a community like Cypress deserves a proper Cypress view, and you can enjoy the most of it with a sunroom or porch enclosure. Installing a sunroom or porch enclosure for your Cypress, TX home is an excellent way to take in the natural scenery around your home no matter what the weather might be. But they can also improve the view inside your home. With more windows to let in the natural sunlight, your room addition will be well-lit without the help of electrical lighting. With the extra space, you can design your sunroom or porch enclosure however you’d like — and use it for whatever function you might like. They can serve as a lounge, game room, conservatory, even an extra dining area or guest room. 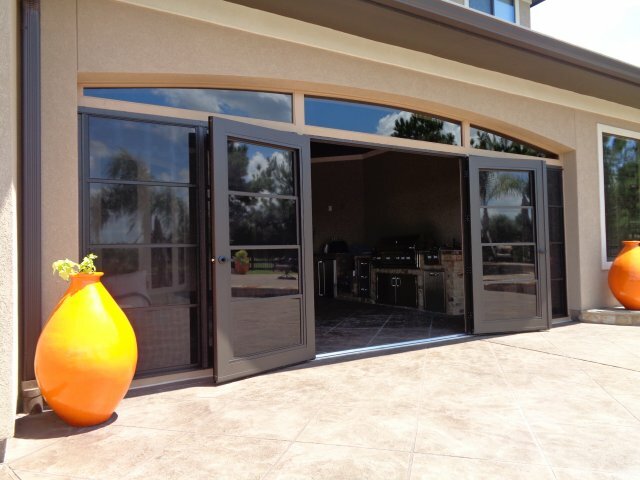 Sunrooms and porch enclosures are great for your current enjoyment, but they can also serve you well in the future. With an all year insulated sunroom, you can watch a rare Texas snowfall from inside your cozy sunroom, sipping a warm cup of cocoa or coffee. They can add space and function to your home in the event that your family grows, and they can also add value to your home if you plan to move one day. Sunrooms and porch enclosures offer not just added space and a great view, but energy efficiency to your home, all things that appeal to prospective buyers. We realize that room additions can be expensive and you may not think that you can afford a sunroom or porch enclosure for your Cypress, TX home. That’s why we at Sunspace Texas offer financing programs to make the cost more manageable. Contact us today for more information about financing options or the sunny additions we can add to your home.